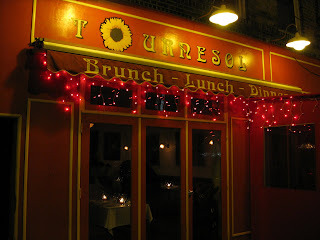 On Sunday I went with my wife and son to Tournesol Bistro Francais in Queens. 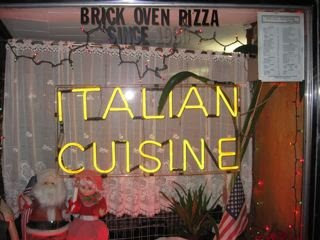 The bistro is located on Vernon Boulevard, in Long Island City. 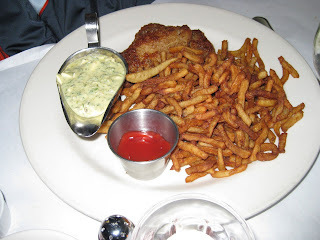 We had braised beef cheeks, grilled salmon, and skate with a heaping mound of fries. 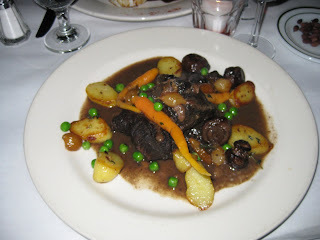 The beef had a delicious dark sauce, perfect for mopping up with the chewy baguette. 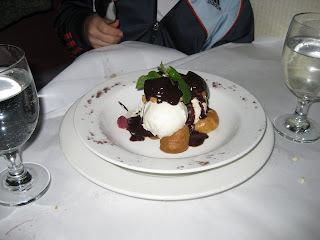 For dessert, my son had profiteroles. 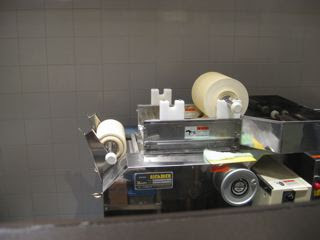 The prices were reasonable and the service was attentive. 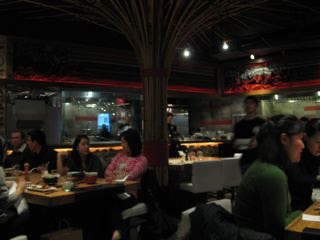 We had a great meal and a lot of fun. 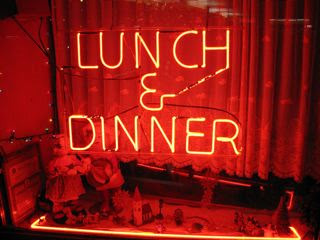 I was in Washington, DC for the inauguration of Barack Obama and managed to have only one great meal. 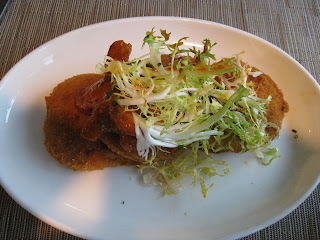 My brother snagged a lunchtime reservation at Acadiana. We started off with a few warm, freshly baked biscuits served with red pepper jelly and Creole cream cheese. 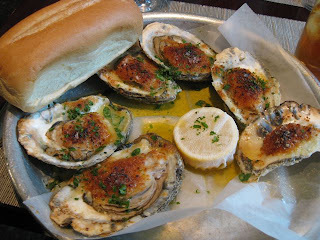 For appetizers, we had ‘charbroiled oysters’ with garlic butter, parmesan romano cheese, warm French bread and ‘fried green tomatoes’ with zatarain’s spice boiled gulf shrimp rémoulade. 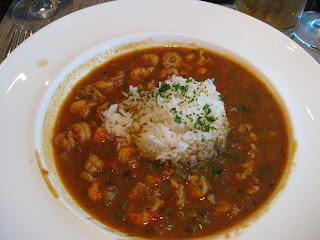 For the entrée, I had ‘Louisiana crawfish étouffée’with mahatma long grain rice (perfect for a bitter cold day)and my brother ordered the "Peacemaker" fried oyster po-boy’. 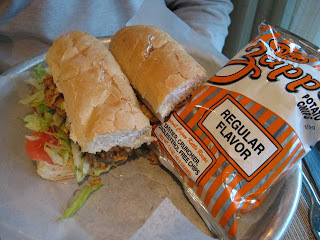 His sandwich came with a bag of Zapp's potato chips from Louisiana. 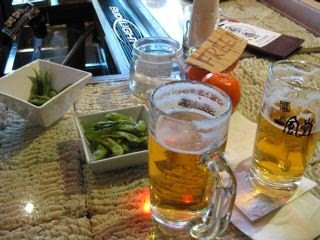 We washed this down with a few Arnold Palmers. 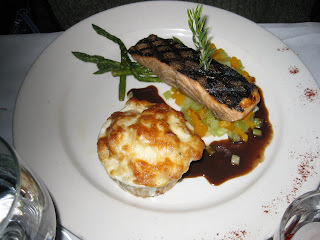 The food was excellent as well as the service. 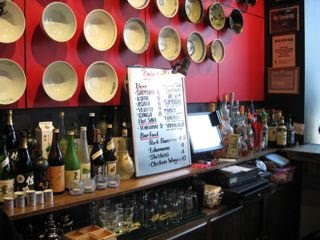 I would definitely go back again and would love to try their ‘Big Easy Happy Hour’. 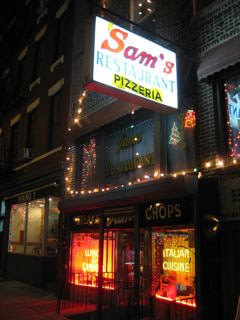 We went to Sam's on Court Street for dinner earlier this month. 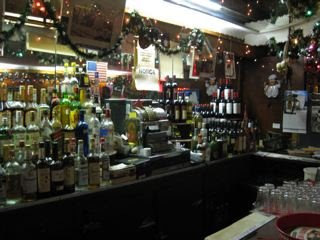 This is an old school, red sauce Italian restaurant with lots of attitude and jokes that are as old as the phone booth next to the bar. 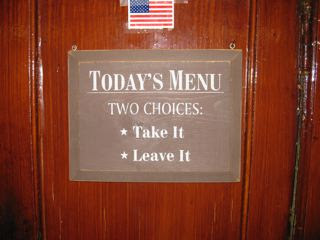 But the food is decent and the prices reasonable. 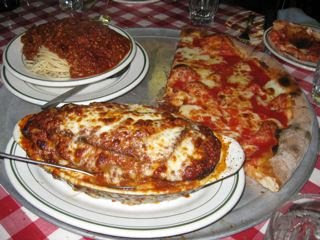 We had a plain pizza, spaghetti with meat sauce, scungilli fra diavolo, and sauteed escarole with garlic and oil. 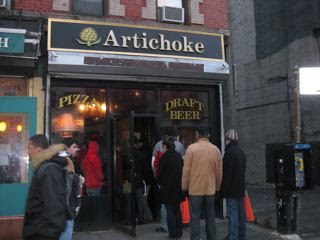 The line is usually pretty long at Artichoke Pizza in the East Village. Their special artichoke pizza is a thick pie covered with a Béchamel sauce, cheese and sliced artichokes. Its a super heavy, super rich slice of pizza. I actually prefer the simpler margherita, which comes out slightly burnt. At $3.50 a slice, it should taste special. 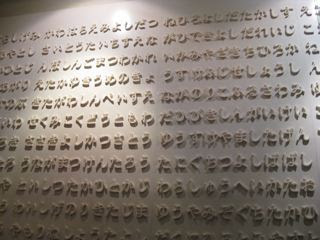 After tasting a small piece of one of the cookies from Momofuku Bakery & Milk Bar , I decided to check it out for myself. 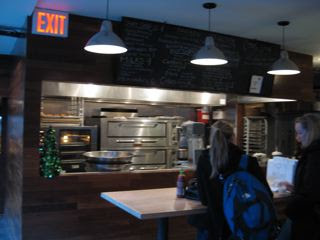 The bakery is part of David Chang's Momofuku empire and is connected to his Ssam Bar. I tried the cornflake-marshmallow-chocolate chip cookie and the compost cookie, a strange but tasty combination of butterscotch chips, chocolate chips, pretzels, and potato chips. 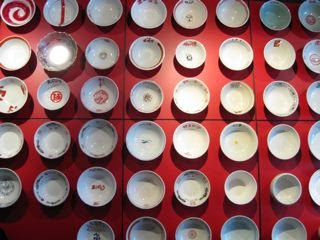 And standing in the bakery is actually more comfortable than sitting on one of Chang's wooden box stools. 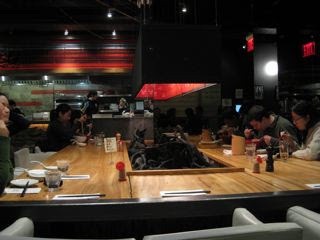 For my first meal in New York for 2009, I went to Ippudo NY on Fourth Avenue in Manhattan. 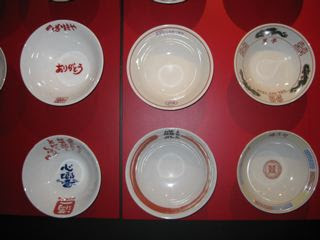 Ippudo is suppose to serve some of the best Japanese ramen noodles in New York. 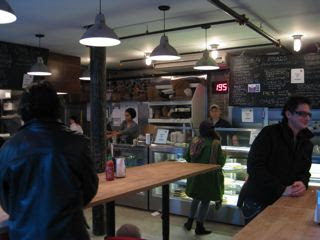 I waited with some friends for over an hour (with a side trip to Momofuku Bakery) to be seated (full disclosure, we were a group of 8 so we needed one of only the two large square tables). 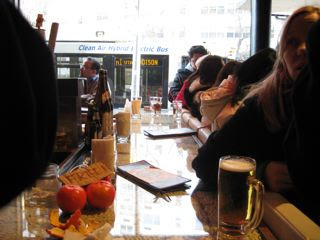 The average wait was about 60 minutes, even for tables of two. 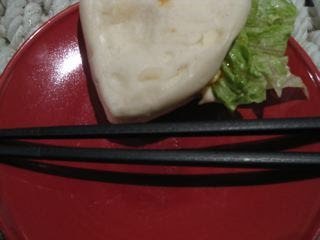 We shared a a few orders of buns and chicken wings. 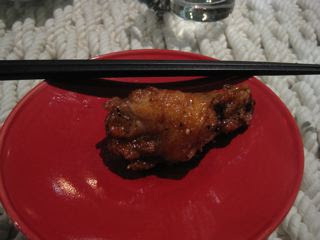 The wings were hot, crispy and had a nice peppery taste. 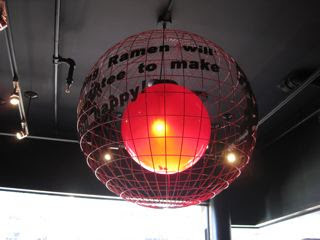 For ramen, I ordered the classic ramen noodle dish with egg, pork, vegetables and plenty of freshly made noodles. 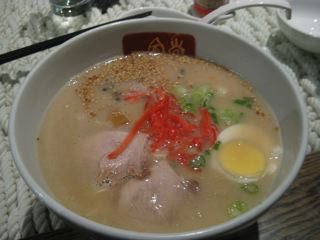 The broth was delicious - it had a silky texture with lots of flavor but not overly salty. 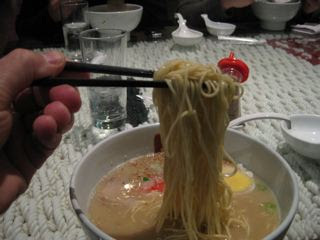 If you eat the noodles before you finish the broth, you can ask the server for an extra serving for $2.00. Would I go back? Sure. Would I wait that long again? No. 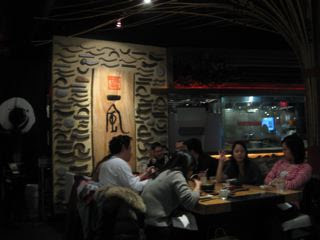 The food was very good, as well as the service but its hard to imagine waiting for more than an hour in New York for something to eat.